High five! 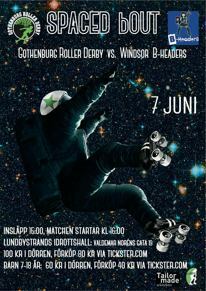 - Let's Derby! We call it a night where all are winners… Hometeam, away team and AUDIENCE! Cause playing your 1st games is just like that - win every time. The body is like filled with happiness, tension and adrenaline. And all to the crowds delight. 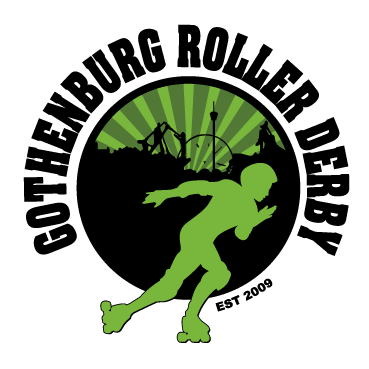 So when Gothenburg Roller Derby B and Uppsala Roller Derby - Jackdaw City Rollers settle up there will be no expenses spared! 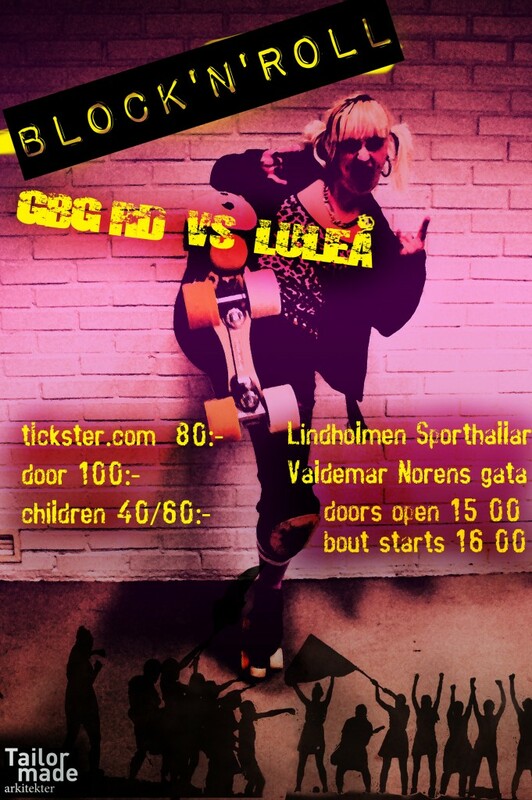 Also you will get to se Swedens best B’roller Derby players mix up and play for glory and fame together with a number of equal female peers! 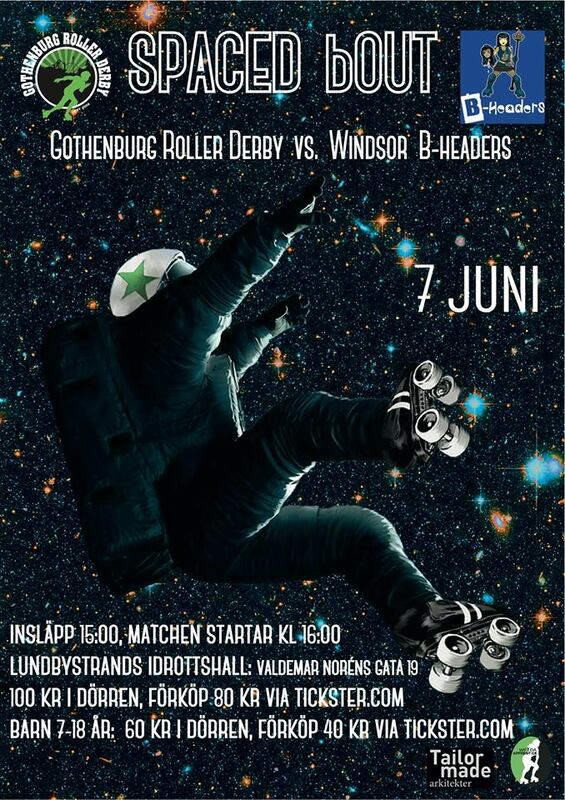 16:30 Game 2: Team Sloppy - Team Bess with participants from Gothenburg Salty Seamen’s boot camp High Five! - Let's Booty! 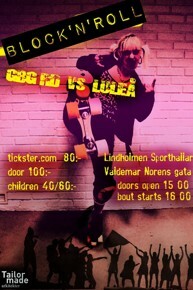 At the door you pay the unbeatable prize of only 50 SEK!!! Cash only!